Your car needs leaded petrol? Don't worry, we have the right additive to prevent any unleaded petrol problem. What is the difference between leaded and unleaded petrol? Originally, “tetraethyl lead” helped increasing the octane number, thus reducing engine knocking and improving the car performance. It was widely used instead of other octane boosters like Ethanol. However, two factors eradicated its use. First of all, lead is a very toxic metal and with the increasing popularity of gasoline this started to create environmental and health problems. Secondly, catalytic converters (patented in 1956), couldn’t work with leaded petrol. Therefore, unleaded petrol was introduced in the 1980's to put a stop to the environmental hazards and health risks. Does that mean cars now have less power? Not at all. As explained, lead was one of many possible ways to prevent knocking and ensure a good compression. This is where Syntix Valve Shield comes in. 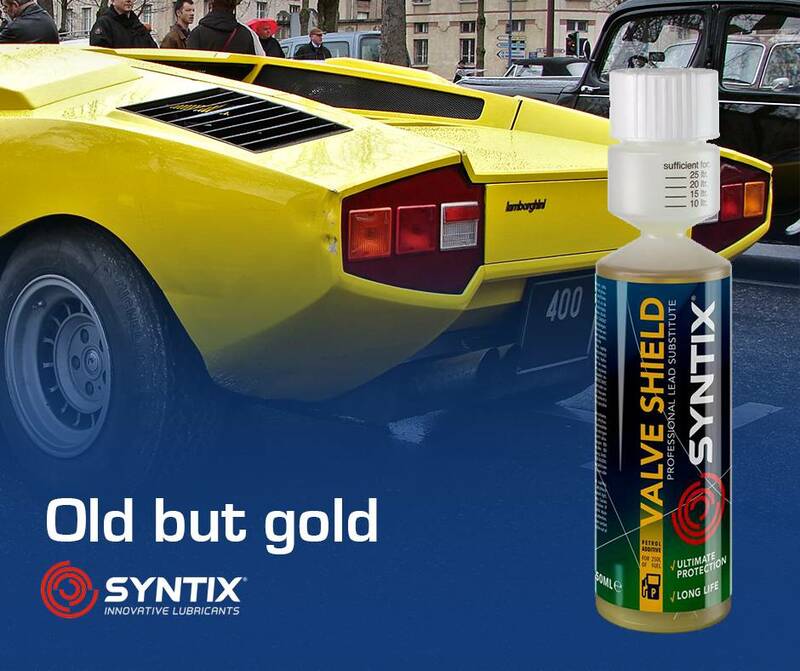 With a self-mixing combination of agents, this additive ensures optimal use of any classic vehicle. Valve Shield prevents knocking, lubricates valves and has no harmful effects on the catalytic converters, nor the environment, without increasing the octane number. Once you’ve got your petrol quality covered, remember our TOWBIFE mnemonic to keep your jewel as shiny as the day it was driven from the factory line. With our PSFD and Gear Max oils for engine an transmission, Plus ILT coolant, Glass Clean Pro, Air Fresh… You can’t say we’re not giving you the right tools. Subscribe to our newsletter to be always updated! Top quality articles and product's info each week!